CAST: Logan Lerman, Matthew Macfadyen, Milla Jovovich, Orlando Bloom, Freddie Fox, Ray Stevenson, Luke Evans, Christoph Waltz, Juno Temple, Gabriella Wilde, Mads Mikkelsen, James Corden. 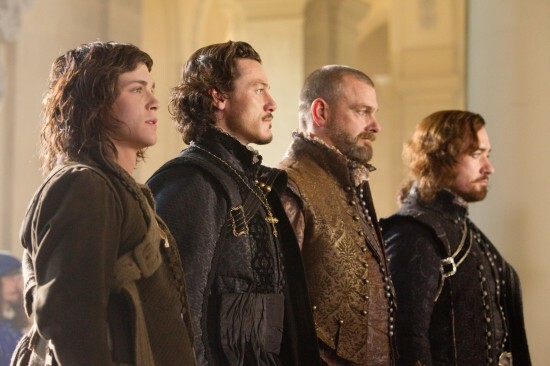 SYNOPSIS: After leaving the home he shares with his parents, D’Artagnan (Lerman) heads to Paris and meets the former Musketeers, Athos (Macfadyen), Porthos (Stevenson) and Aramis (Evans). Far removed from their former glory, they are all too soon swept up in a plot to seize the French throne and D’Artagnan must help them secure King Louis’ (Fox) position within Europe.